LONDON — News that Germany plans to launch a €50 million solar storage incentive is the latest indicator that solar storage's time has come. Under the program, German owners of solar systems with storage will be entitled to a low-interest loan from KfW, the state-owned bank, and a repayment allowance from the Ministry of Environment, which will cover 30 percent of the battery system's cost. The program will apply to newly-installed PV facilities with storage and solar plants with storage systems installed after December 31, 2012. Systems under 30 kW will be eligible for the subsidy. Although lack of emissions trading revenue for the Energy and Climate Fund is said to be currently delaying the program, it is predicted that it will soon move forward, possibly by the originally specified date of 1 May. This incentive will make almost any emerging energy storage technology capable of tying into a PV array cost-effective, according to Brian Warshay of Lux Research. Subsidizing a storage system's energy capacity rather than its power capacity, as does California's Self Generation Incentive Program (SGIP), is a more logical approach, says Warshay, because the solar shifting application requires more energy than power. Germany's incentive will benefit technologies capable of longer discharge duration such as molten salt and flow batteries rather than most lithium-ion batteries, Warshay said. Research firm NanoMarkets believes the growth of the solar storage market is driven by declining costs for PV modules and reductions in government support for solar power. Without attractive subsidies, self-consumption can be more valuable than selling power and storage becomes desirable. NanoMarkets predicts that demand for storage in the residential and commercial sectors will soon show rapid growth. According to IMS Research's recent survey of over 400 purchasers of PV inverters including distributors, installers, integrators, EPCs and wholesalers, the need for energy storage in solar systems is growing fast. Although energy storage is still a young market, nearly one third of respondents said they expect to be using storage in over 40 percent of the PV systems they install by 2015. Survey respondents from Germany, Italy and the UK identified energy storage as more critical than any other requirement for future PV inverters. When IMS asked what the main driver for the adoption of energy storage would be, the most common response was a reduction in battery prices helping to drive system prices down and make storage financially viable. IMS found that over 60 percent of respondents believed that an acceptable increase in system price for the inclusion of energy storage would be between 10 percent and 29 percent; however, almost 30 percent of respondents indicated they would be willing to pay even more. According to the 2013 Storage Study from the Fraunhofer Institute, carried out for German solar trade body BSW-Solar, battery storage systems used in conjunction with a PV system can increase the absorption capacity of existing power grids by up to 66 percent. “The positive effects that decentralized photovoltaic battery systems have on the power grid cannot be overstated,” said Dr Christof Wittwer, head of the Intelligent Energy Systems department at the Fraunhofer Institute for Solar Energy Systems. Nanomarkets' report entitled Storage 2013 predicts that the global market for solar storage systems will be worth US$2 billion by 2018. Dr. Eicke Weber, head of the newly-established German Energy Storage Association, has called this a “conservative estimate”. Italian energy consultancy BIP said the battery market will reach at least 9 GW of capacity by 2020 from today's 270 MW. And the commercial sector's uptake is growing in line with the residential sector's. Nicola Cosciani, head of energy storage at Italian industrial battery maker Fiamm, says heavy power users such as cement and steel makers are looking at solar storage. “Germany and Italy will be explosive markets for residential storage and big energy users are also starting to show an interest. This is a game changer,” he said in a Reuters interview. When implemented, Germany's incentive will result in a short but rapid boom in distributed storage, Warshay predicts. “Developers with any hopes of addressing this market opportunity will need to move quickly into Germany to establish partnerships that will help decipher the bureaucratic requirements necessary to benefit from this new policy,” he said. 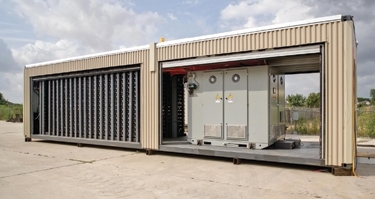 Considerable technological innovation is expected in energy storage, yet traditional lead-acid batteries will be the main revenue generator over the next decade, accounting for more than $950 million in revenues in 2018, research firm Global Information (GI)'s Solar Storage 2013 report has found. Lead-carbon technology will improve the margins on this type of battery, generating another $135 million by 2018, the report said. There is also growing interest in the use of lithium batteries in the solar sector; GI expects these batteries to generate $235 million by 2018. Chinese solar energy storage firms seem likely to focus on lithium batteries since China is a major source of lithium.